The problem with shooting any pictures of a sauce or glaze is that it needs to go on top of something be it food or otherwise. Though, why would you want a picture of sauce on something else? 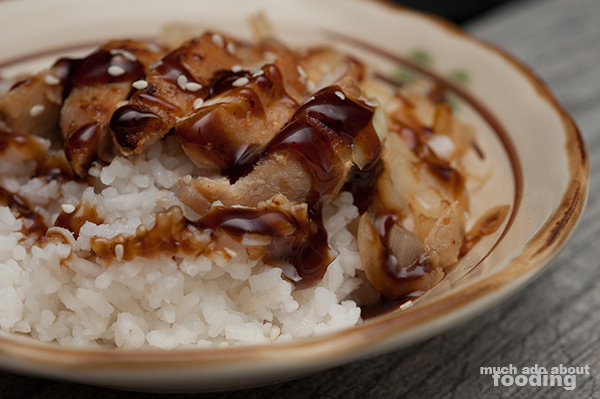 Teriyaki on a sullen cat's head? 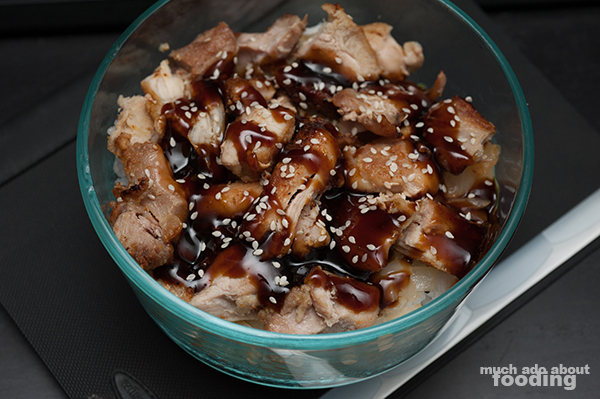 So I decided that my teriyaki glaze would go atop a crispy piece of pan-fried chicken thigh. Should I include the recipe for the chicken because it was absolutely delicious? Perhaps. Perhaps you could just coat two pounds of chicken thighs with heaping tablespoons of garlic salt and pan-fry. Perhaps you could also make this tasty sauce not only as a glaze but a dipping sauce! It's fairly simple and tastes positively lovely on some crispy chicken bits so give it a whirl yourself and let me know how it goes. Why is the yield about 1 cup's worth when the ingredients add up to more than that? Reduction from boiling. So mince up garlic finely and get all of your ingredients together. Dissolve cornstarch in cold water so it is mixable. Then, combine everything in a saucepan. Bring whole mixture to a boil and then reduce to a simmer. The viscosity of the sauce is up to you. If you like it quite thick, simmer for a longer period of time. Overall, I recommend just about 2-3 minutes of simmering time after boiling for a thick but not too sticky sauce. 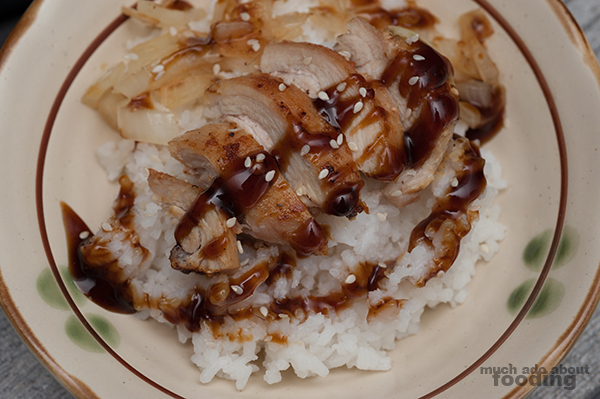 I spread it over some chicken on rice with a sprinkling of sesame seeds afterward. It's a sweet and savory addition to any Asian-inspired meal!